Morgan Shimabuku joined the Pacific Institute in 2018 as a research associate. 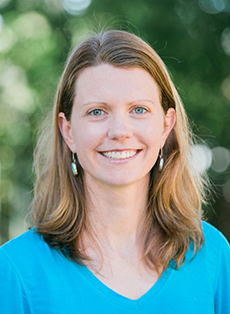 She conducts research on stormwater policy and economics, multi-benefit frameworks for integrated water management projects, and water and conflict around the world. Prior to joining the Pacific Institute, Morgan was a senior program manager at an environmental nonprofit in Colorado where she ran residential and commercial water conservation program operations in partnership with municipal water providers. Previously, she worked as a scientist at a water resource consulting firm and supported the PacFish/InFish Biological Opinion Effectiveness Monitoring Program (PIBO) of the US Forest Service as a stream technician. Morgan received a B.A. in Environmental Studies and Geology from Whitman College and a Master’s degree from the Department of Geography at the University of Colorado Boulder, where she studied climate change, hydrochemcial cycling, and snow hydrology at the Institute of Arctic and Alpine Research.